Hey Everyone, hope everyone's week has started off good. It has been a while since I have done a blog, that wasn't directed at fashion. I did a few of them when I first started to blog and enjoyed it. I was playing around with the new Triumph boots from Gos last night and had the idea to do a picture like this. 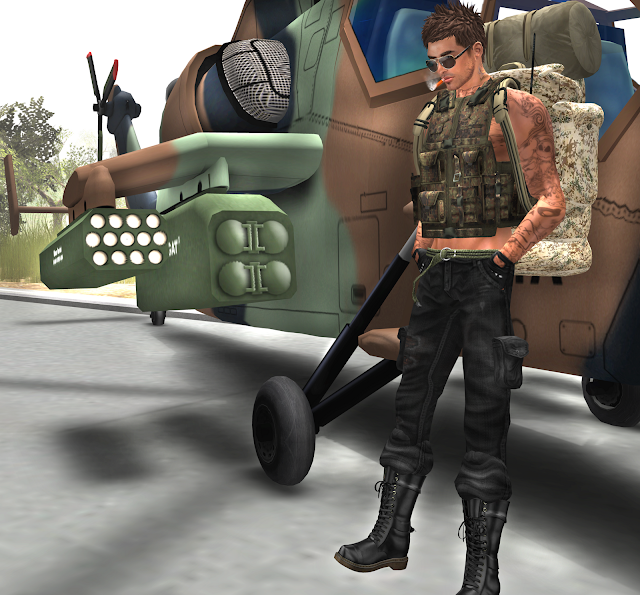 I don't think I've ever did a military look in second life, so this was quite fun. Hope you like it.